Getting paid to share your opinion sounds like a great idea, but not all survey sites are created equal. Some have high thresholds to redeem your cash while others are scams. 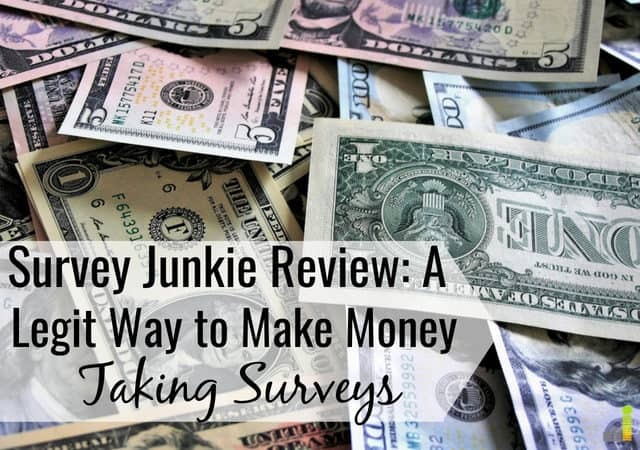 In this Survey Junkie review we’ll discuss one of the more popular online survey sites that lets you earn extra money on the side. Note the word “extra”. Taking surveys online won’t make you rich or replace your full-time job. However, legitimate opportunities like these can help you make money on the side. People take online surveys for cash because it’s easy and flexible. You can take surveys during your spare time or any time of the day that fits with your schedule. While there are many survey sites around, today we’re discussing Survey Junkie. More specifically, we’ll answer if Survey Junkie legit and how to use the platform to make money on the side. Survey Junkie is an online survey site with more than three million active members. Survey Junkie partners with brands so that your opinions and suggestions about their products are heard and they’re able to make adjustments accordingly. Sites like Survey Junkie help facilitate market research by starting with you, the consumer. The site has been around since 2013 and they’re big on matching users with survey opportunities that align with their experience and interests. In exchange for your opinion, Survey Junkie compensates you for each survey you take. That’s a fair question to ask of any paid survey site. You want to make sure your information is safe and they’re not asking for too much personal information. You also want to ensure the site will pay you and that the survey site will be a good use of your time. Using that criteria, Survey Junkie is a legit way to make money in your free time. 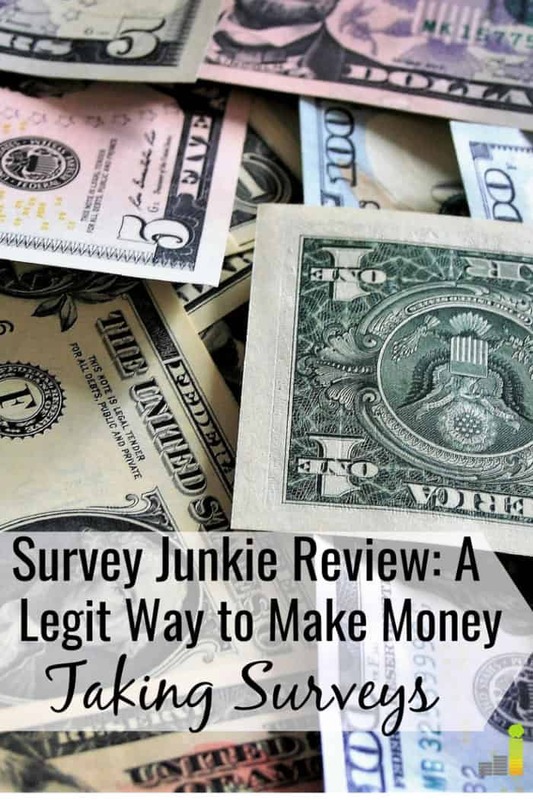 Now that we know it’s a legit way to pad your budget and not a scam, let’s cover if Survey Junkie is a good use of your time for earning extra money. The Survey Junkie site is easy to navigate. Once you sign up, you confirm your email and you’re instantly able to start taking surveys. You can start taking surveys at 13 years old with Survey Junkie. Part of the sign up process is completing your profile. Make sure to fill out your profile completely, as that will ensure you get as many survey invites as possible. Of course, you can redeem points for cash which is paid via PayPal. Survey opportunities are updated regularly so members are encouraged to check their profiles often. Once you reach 1,000 points, you can redeem them for $10 cash or e-gift cards. Points are also credited to your account once you complete a survey, so you don’t have to wait. Earning points once you sign up isn’t difficult at all. I earned 105 points in about five minutes when I started. The average survey on the site is worth 50 points. You earn more points by taking more surveys as well as longer surveys, which can go as high as 200 points. Points also do not expire with Survey Junkie. Again, you can ensure you receive more invites by completing your surveys. This will also let you receive better targeted surveys to earn even more. Survey Junkie refers to this data as “sensitive information” that is used internally to communicate with you about surveys and tailor more opportunities toward you. These are also questions typically asked by legit paid survey sites so it’s not a red flag. The information helps ensure you get surveys matched to your profile. Survey Junkie does partner with other companies. This means you may receive email from those partners who have acquired your information. However, you can minimize the effects by using an email address separate from your main one. I haven’t received too many partner emails so that’s been nice. When looking at a survey company to decide whether or not it’s worth your time and effort, most people look directly at the pay to determine if it’s legitimate. Survey Junkie pays about $1 – $3 per survey, which lines up with the standard for most other quality survey sites. It may not sound like much, but it can add up. If you do a few surveys per week, you can earn about $10 – $13 per week or about $50+ per month. That’s enough to pay a small bill, fund a family activity, or dine out. Or you can use the money to boost your savings instead. It’s up to you. I like that Survey Junkie has a fairly straightforward compensation structure and doesn’t make it difficult to receive your payments like some other survey companies. It’s also important to consider opportunity cost. Is it costing you a lot to take surveys online? Probably not if you do it right. You can take surveys during your lunch break, daily commute, or while watching T.V. If you’re sitting at the doctor’s office waiting for an appointment, you can log on to Survey Junkie rather than browsing social media. One big plus for Survey Junkie is that you can take surveys on your computer, mobile phone, or another device, making it perfect for when you’re on the go. I wouldn’t recommend spending hours per week taking surveys. You could likely make more money doing something else. However, if you have the spare time and wouldn’t be doing anything else anyway, why not give it a try? We already tend to spend hours on our phone. Why not make a little extra money at the same time? Overall, Survey Junkie is one of the best survey sites around. It’s a straightforward site to use with plenty of opportunities to make money by sharing your opinion. While it’s impossible to replace your income with taking surveys, a site like Survey Junkie can help pad your budget. Survey Junkie is legit and is a good option to monetize your spare time. Survey Junkie is fairly user-friendly, and you can start earning points right away thanks to a $2 bonus when you sign up. If you like taking online surveys, Survey Junkie is worth a try. Which survey sites have you used to make money on the side? What are your favorite ways to make extra cash on the side? What do you look for when considering a paid survey site? I’ve been trying to get my wife to jump on one of these survey sites for a while. She spends way too much time playing Candy Crush. She could be making a little extra money. Thanks for the review. I never thought the survey sites even paid as much as they did. $1 to $3 isn’t bad if you need a little wind-down time at the end of the night. Thanks Kevin, I hope your wife gives it a try! I am excited to get started filling out surveys. Awesome, glad to hear it Deb!